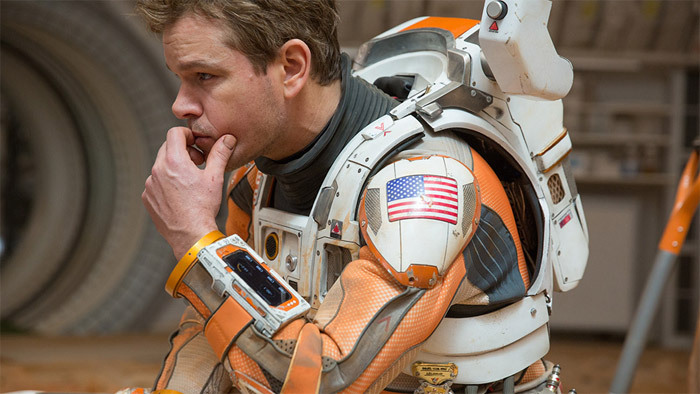 On the surface of Mars, Watney spends a significant amount of time in the habitation module -- the Hab -- his home away from home. 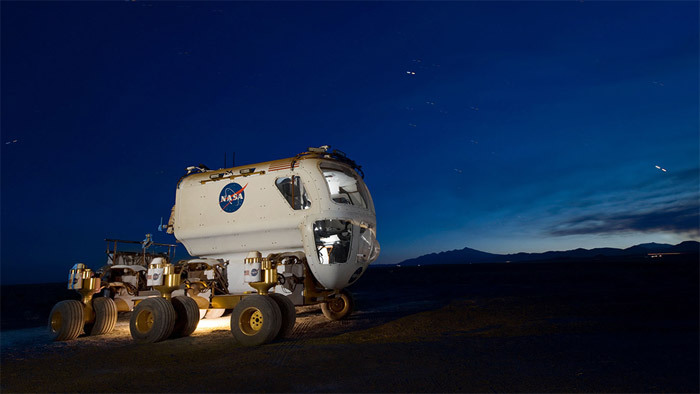 Future astronauts who land on Mars will need such a home to avoid spending their Martian sols lying on the dust in a spacesuit. Food, water, shelter: three essentials for survival on Earth. But there's a fourth we don't think about much, because it's freely available: oxygen. 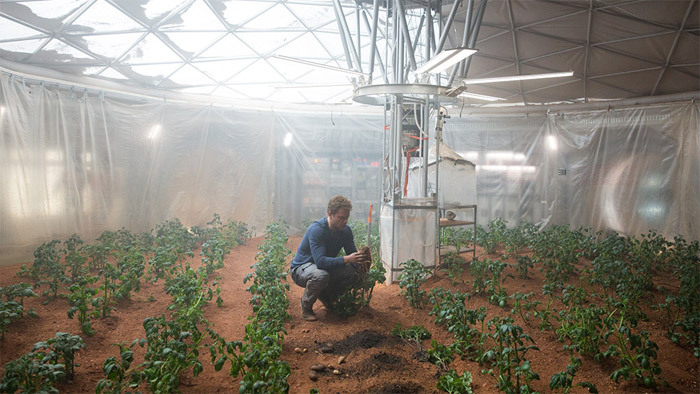 On Mars, Watney can’t just step outside for a breath of fresh air To survive, he has to carry his own supply of oxygen everywhere he goes. But first he has to make it. 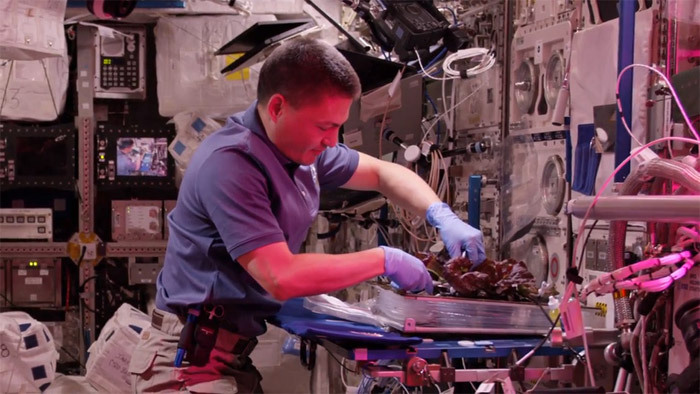 In his Hab he uses the “oxygenator,” a system that generates oxygen using the carbon dioxide from the MAV (Mars Ascent Vehicle) fuel generator. 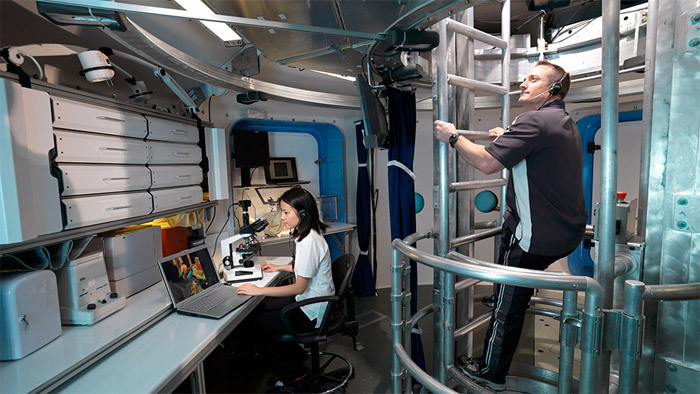 On the International Space Station, the astronauts and cosmonauts have the Oxygen Generation System, which reprocesses the atmosphere of the spacecraft to continuously provide breathable air efficiently and sustainably. The system produces oxygen through a process called electrolysis, which splits water molecules into their component oxygen and hydrogen atoms. The oxygen is released into the atmosphere, while the hydrogen is either discarded into space or fed into the Sabatier System, which creates water from the remaining byproducts in the station's atmosphere. 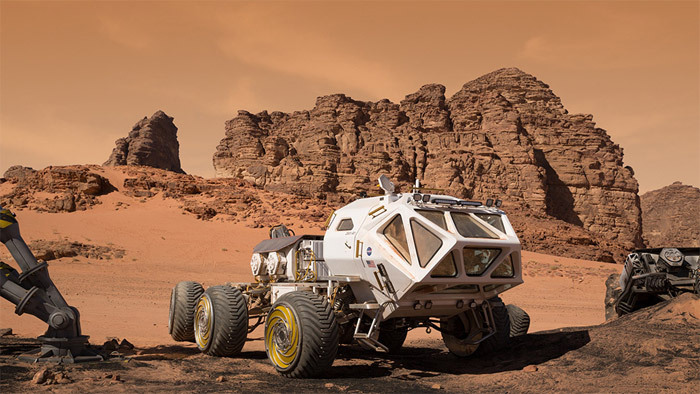 In "The Martian," Watney takes his rover for quite a few spins, and he even has to outfit the vehicle with some unorthodox modifications to help him survive. 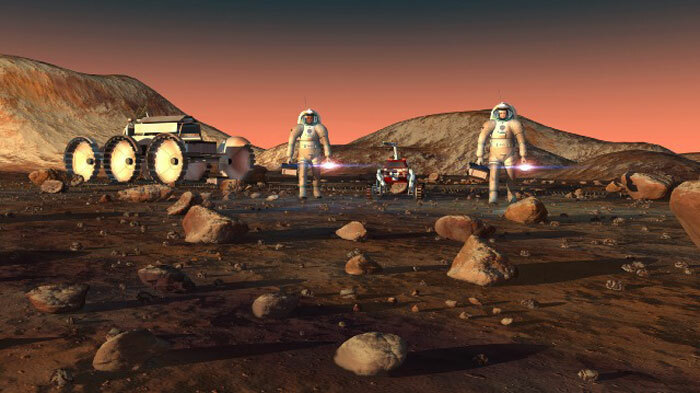 While the Dawn spacecraft is visiting the asteroids Vesta and Ceres, NASA Glenn has been developing the next generation of ion thrusters for future missions. 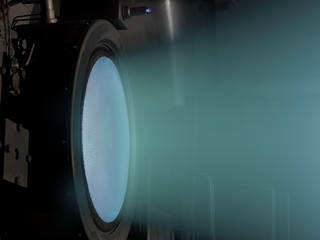 NASA's Evolutionary Xenon Thruster (NEXT) Project has developed a 7-kilowatt ion thruster that can provide the capabilities needed in the future. This technology allows modern day spacecraft like NASA’s Dawn Spacecraft to minimize fuel consumption and perform some crazy maneuvers. Dawn has completed more than five years of continuous acceleration for a total velocity change around 25,000 mph, more than any spacecraft has accomplished on its own propulsion system. Along the way, it has paid humanity's first visits to the dwarf planet Ceres and the asteroid Vesta. 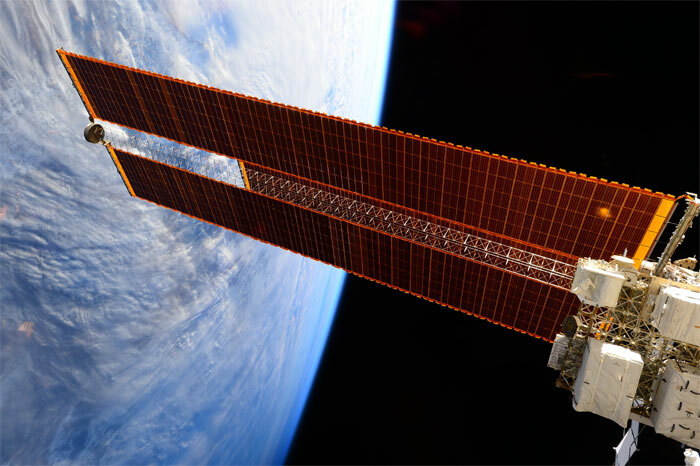 Solar panels on the International Space Station. 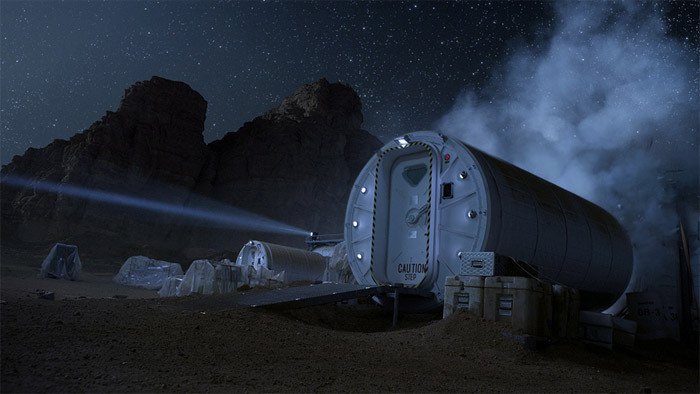 In "The Martian," the crew buries the plutonium-based RTG power source for the Mars Ascent Vehicle far away from the Hab in case of radioactive leakage. 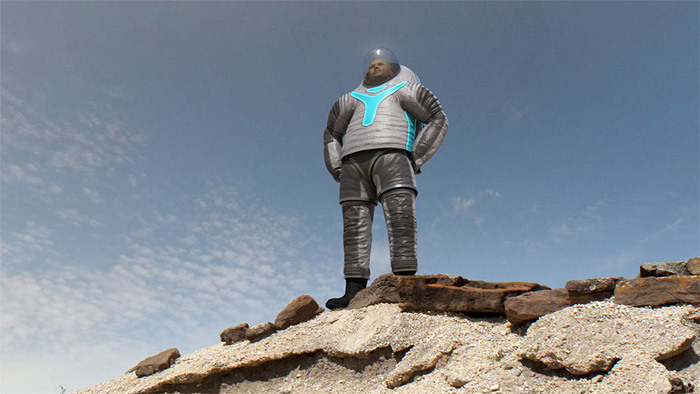 To prevent any leak, as suggested in the movie, Plutonium-238 has several layers of strong, advanced materials that protect against release even in severe accidents. The RTG mostly emits alpha radiation, which can only travel a few inches in the air and does not penetrate clothing or human skin. It could only affect human health if it were broken into very fine particles or vaporized, and inhaled or ingested. The isotope is manufactured in a ceramic form, so accidentally inhaling or ingesting it is unlikely, particularly as it does not dissolve in liquids.